Spreading the love from The Netherlands. Yesterday we released our annual report about the Top 20 Peer-to-Peer Fundraising Events in the Netherlands during a special awards reception in Amsterdam. It was the day after Valentine’s Day and love was still in the air. You could see and feel the passion that the attendees (charities) had for their event participants, volunteers, donors and, most importantly, the causes they care so deeply about. Of course, we were honored to be surrounded by this incredible group of people who have dedicated their time, talent and energy to make the world a better place. We started this benchmarking study for the purpose of celebrating the accomplishments of top peer-to-peer (P2P) events in the Netherland and to give proper credit to this unique and important fundraising method. While we’ve been tracking and analysing the Dutch Top 20 for just two years, it’s amazing to see the BIG growth that has happened with P2P events in this rather small country. 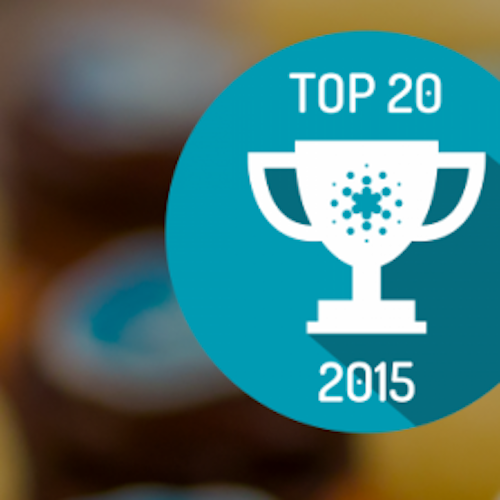 We feel that the Top 20 Events of 2015 proves that P2P fundraising events in the Netherlands are healthy and on the rise. The bar has been raised. Actually, doubled. In order to make it into the Top 20 in 2014, a Dutch P2P event had to raise at least €233.228. However, in 2015, the minimum threshold doubledto €463.037. More participants = more revenue.There were about 10.000 more people participating in the Top 20 Events–a total of 65.985 participants (and fundraisers)–which is a year-over-year participation growth of 17%. And, overall revenue generated by the Top 20 was up 3%….for a total of €38.841.113 raised. Still strong at the top! The Alpe d’HuZes–a one-day cycling challenge in the French Alps–continues to reign as king of the Top 20 with a whopping €12 million raised. Second place on the Top 20 List, once again, goes to the RopaRun–a 520 km team relay run from Paris or Hamburg to Rotterdam–which raised over €6 million. The fundraising results by the Alpe d’HuZes and RopaRun remain impressive….especially since 2015 marked the 10th year of the Alpe d’HuZes and the 24th year of the RopaRun. These leaders are demonstrating the strength and sustainability of P2P fundraising events. 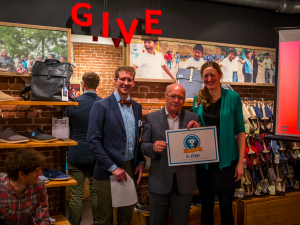 We hope the Dutch Top 20 List and Report serves as an inspiration for nonprofits in other countries to start (or optimise) their P2P fundraising events…and, by doing so, raise more revenue and make an even greaterimpact on the world.